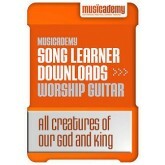 Learn the acoustic guitar part in David Crowder’s arrangement of this hymn note-for-note including the strumming pattern and opening riff. 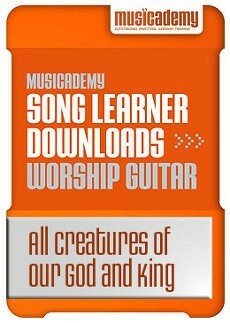 All Creatures of Our God and King - Excellent teaching video, really shows you exactly how to play every detail, from finger position to strumming techniques to that cool semi/lead intro. 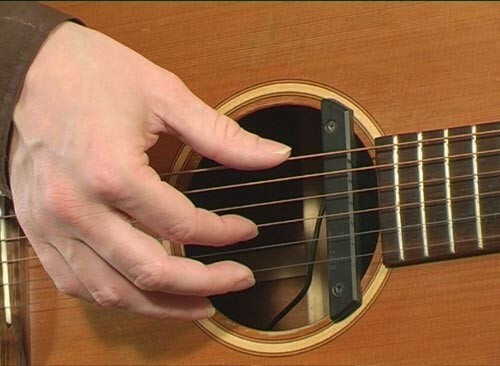 Even tips and tricks to help you change chords. 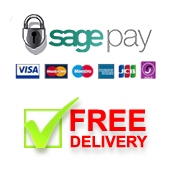 Very Excellent, you couldn't want a better teacher than this product.